This entry was posted in Fly Fishing on July 27, 2015 by admin. Scientific Angler’s fly line gurus Jeff Pierce and Andrew Bosway will be talking at Clarendon on the South Esk River this Saturday August 1st at 10am. These guy’s are the brain’s behind Scientific Angler’s and they geek-out on fly lines that result in more fish. Understandably they live and breath their work and passion for flyfishing. 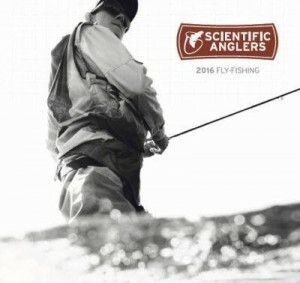 Scientific Angler’s have long been the leaders in fly line innovation. In more recent years they have created a stir with their revolutionary Textured and Sharkskin coated fly lines. Tapers, coatings, sink rates, grain weights – it can all get confusing. Much of the marketing material for today’s fly lines focuses on the technological mumbo jumbo without really delving into how the right fly line can help you’re success on the water. Jeff and Andrew will bash down those barriers and tell you in real fishing terms how a particular line will (or won’t!) result in more fish in the net. This is a presentation not to be missed and there will be prizes during the day! We hope you can make it. Where: Australian Fly Fishing Museum at Clarendon, 234 Clarendon Station Road, Nile (via Evandale). Sausage sizzle and cold drinks avail. Rods avail., but BYO rod and try SA lines on yours.